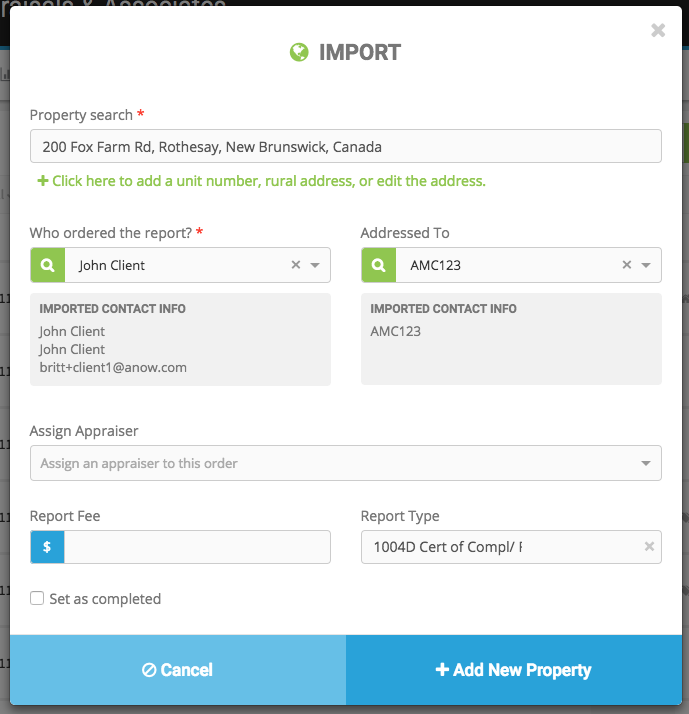 Where do I accept ordered appraisals from Anow Connect clients? 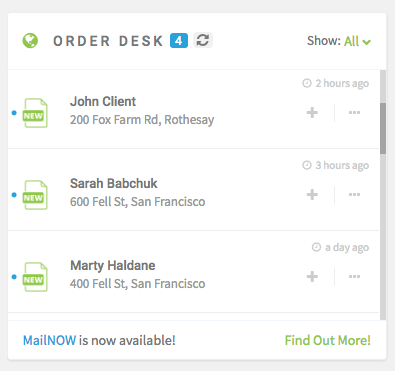 Find out how you can use Anow Connect to accept orders from your clients online in your Order Desk! Thanks to Anow Connect you can send a link to an online Order Form directly to your clients, and those orders will then be added right into your Order Desk where you can decide if you want to accept or reject them. The name that you see by the property address in your Order Desk is the name of the person who ordered the report (Ordered By contact). If you think that there is an order missing from your Order Desk, simply click the button with arrows on it to refresh the data. When you see an appraisal you want to accept on your Order Desk, click the "+" icon, then "Continue to Accept". After choosing to accept the appraisal, this Import form will appear. The Import form is where you will verify the basic information for this requested order, make any small adjustments that you find necessary, and finalize the order acceptance by clicking "+ Add New Property". This appraisal will now appear on your main Dashboard and you can start working on it anytime!